Western Ferries had long gone from the Islay route by the time I first boarded a ferry to Islay, so I don’t have any real memory of them (apart from the pictures and articles about them I’ve seen). This might be changing again at some point, as reports indicate they are interested in (re-)starting a freight only service to Islay. Digital and that the future is digital is a lot in the news at the moment, good to see that Islay is listed in “£100k funding to inspire Scotland’s next generation of digital experts“. I can’t seem to link directly to it, but scroll down to Port Ellen Primary and click on the + to expand the section on this digitalXtra fund page for more detail about the afterschool robotics club. Most people are aware of the Otranto and Tuscania sinking off Islay a century ago, more recently during WWII the Floristan sank off the Rhinns of Islay. You can read Tony Cummings memories of the events in 1942. In The National Andy Gemmell’s pub of the week in late February was the Ballygrant Inn. And that’s all for today, more some other time. I hope you found something interesting to read this time. Isn’t that a beautiful rich tune? I’ve listened to the album many times now and will listen many times again. 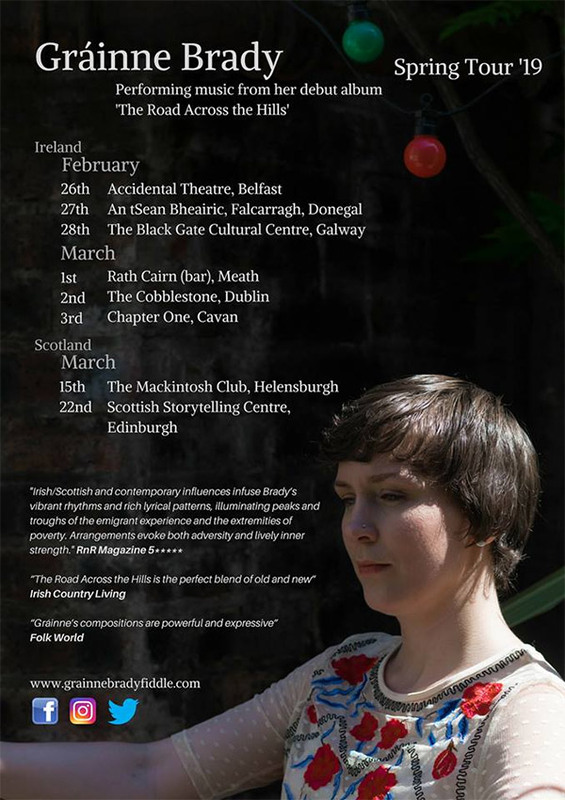 I’m not sure about any upcoming gigs by Brìghde, but I’m sure they’ll be mentioned on her social media accounts: Brìghde Chaimbeul on Facebook and Brìghde Chaimbeul on Twitter. I hope you get a chance to see one of her concerts and buy the album (Gráinne on Bandcamp). For updates check her website and her social media accounts (Gráinne Facebook, Gráinne Twitter). Looks like they had a great and successful time on Islay and Jura. Links found via the Facebook page of Islay Sea-Adventures, who provided the RIB for some of the visits.